Despite threatening skies and cool temperatures, TOP DOG was held today at the OEDC clubhouse. 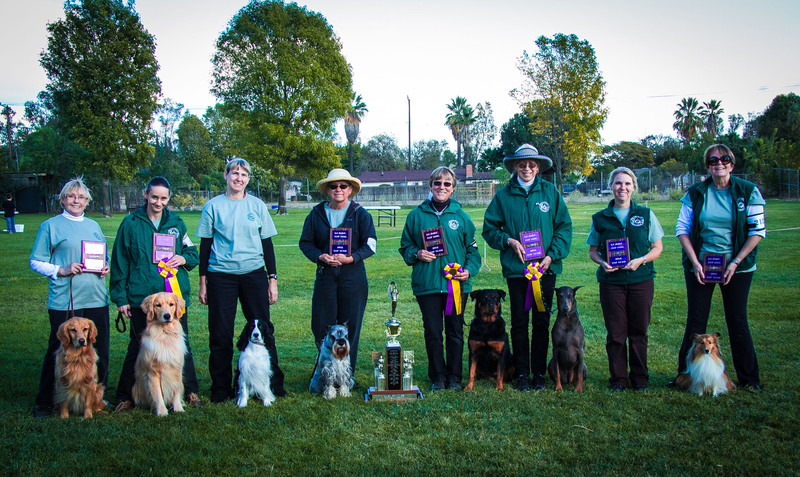 The winning team was Valley Hills Obedience Club (see photo). For complete team results are here and the individual winners are here. Many thanks to our judges, stewards, score tabulators and all the people who volunteer to put on this annual event. Congratulations to the winners!